Trained at the world-renowned Art Center College of Design in Pasadena, California, Karen’s early professional experience includes the impeccability of Walt Disney Productions animation studio. Later, Karen established her own design studio where she licensed artistic images and greeting card products on a national scale with Enesco. In 2013, Karen embraced her commitment to remain out-of-box by completing her Internet Marketing Bachelors of Science degree and in 2014 her Masters in Public Relations. 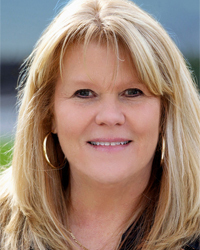 Over the years, Karen has blended her artistic and coaching skills to become a marketing leader and industry expert. In 1998, through inspiration and determination, Make It Happen marketing llc, was created. Since then, Karen has produced hundreds of successful branding, public relations and marketing campaigns. 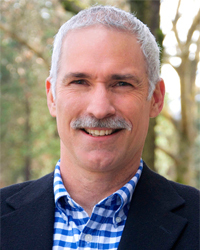 Craig has served as Vice President of Make It Happen Marketing since early 2000. He networks and interacts with clients in a variety of industries, from hospitality, entertainment and retail, to real estate, automotive and high technology. For the past five years, Craig’s niche has included radio talk show host and Producer for Sunrise with Craig Fronek, Monday through Friday on Newstalk 880 KCMX AM. With a three-hour, early morning talk show format, Craig has booked and managed more than 2,500 guests including authors, speakers, business leaders, non-profit representatives, politicians and medical professionals. With a slogan “A Little Bold, and Extremely Fun” Craig’s passion for his community, people and his nation are contagious. In his spare time you’ll find Craig supporting Southern Oregon’s emerging leaders as president of Southern Oregon Toastmasters, and brewing his next favorite batch of microbrew! When a successful journalist, freelance writer and author turns her talents to marketing and then social media, she sets a high standard. Combining technical skills with extraordinary content and strategic planning, Jamee opens multiple social media doors to promote brand awareness, drive traffic, gain credibility, generate sales and achieve successful SEO for Make It Happen clients. As owner of Writing For All Reasons, Jamee wrote and received numerous workforce development grants that greatly affected the workforce in Southern Oregon. 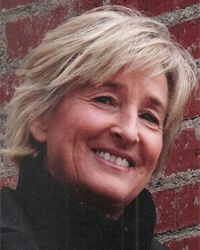 She has written dozens of industry, travel, and meeting planning guides and authored numerous articles published in newspapers and magazines – both print and online. She also became a regular contributor for Oregon Business Magazine where her work featured business ventures in the Southern Oregon region. Shawn Adams (www.Rotor-Head.com) captures stunning footage for commercial film projects and clients such as the LG, Discovery Channel, National Geographic, 20/20 and the History Channel. 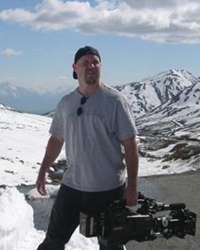 Shawn studied film at Diablo Valley College and in 2006 he founded Rotor-Head, a film, video, aerial, photography, post production and 3D creative company that specializes in aerial videography for private and public agencies. With a middle name of “Run and Gun” Adams work is takes your breath away. With an absolute all out “can-do” attitude and the ability to back up his passion with over tht top creativity his award-winning productions are cutting edge and a vital part of Make It Happen’s success.